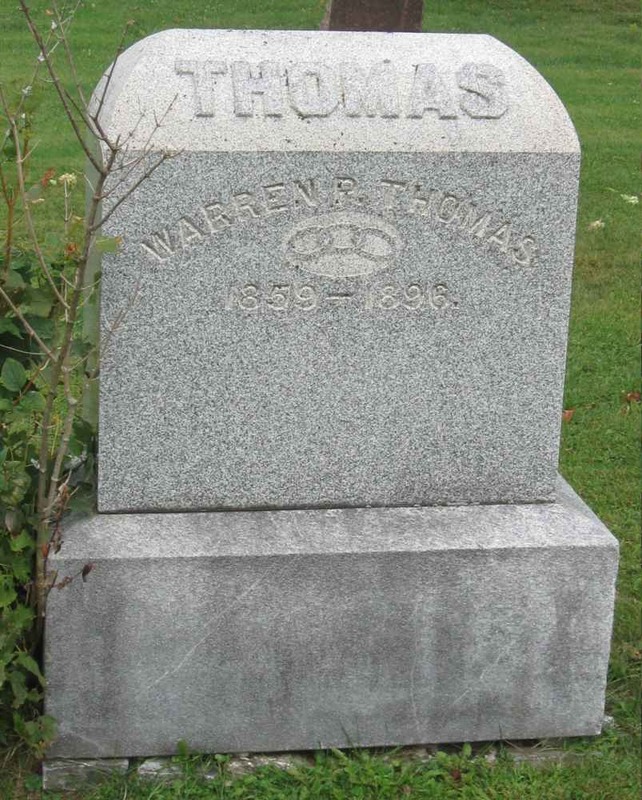 One of the first blogs I wrote, back in March, 2012, was about the train accidents which claimed the lives of both Warren Perry Thomas (1860-1896) and his nephew Charles Franklin Thomas Jr. (1878-1899). 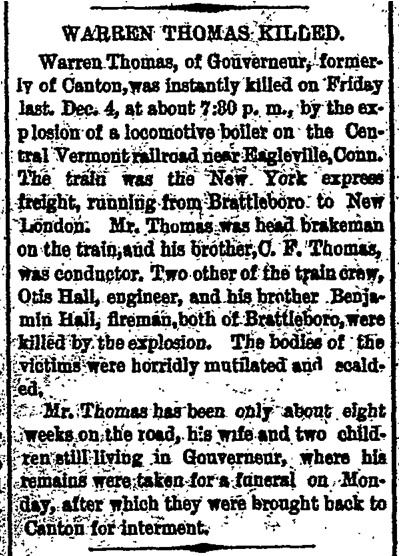 The original article is here: “Thomas Family Train Accidents“. It occurred to me today that I never posted the original articles about those accidents, so I’m going to put them here, for the record. St. Lawrence Herald, December 1896. “Brattleboro Vermont Phoenix”, page 3. 11 Dec 1896. 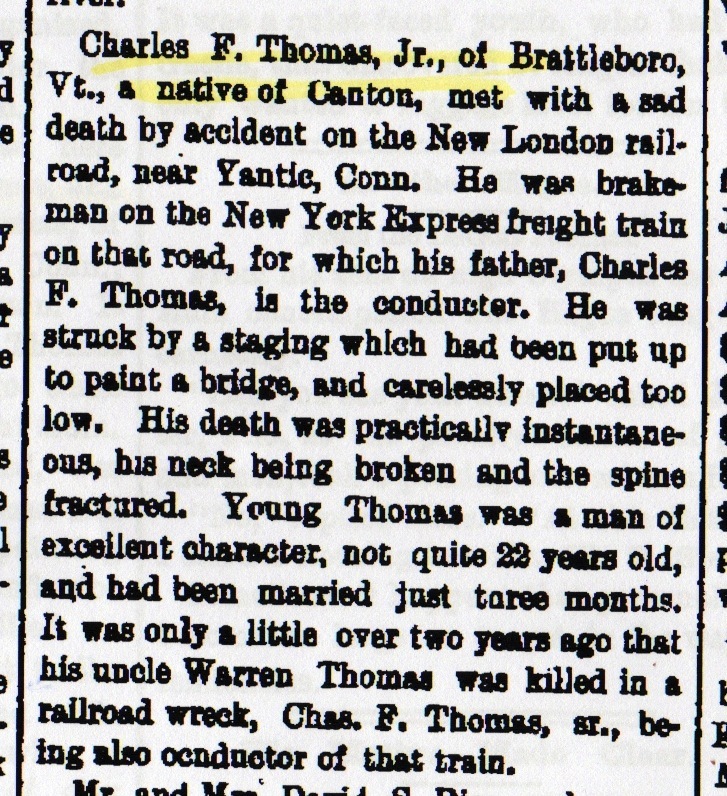 Three years later, Warren’s nephew Charles Franklin Thomas Jr. was killed when the train on which he was working as brakeman passed under a bridge. Normally there was plenty of clearance, but the bridge was being painted, and Charles was struck from behind by a piece of a the scaffolding as he walked along the top of the freight cars. His neck was broken, and he died within minutes. A shorter article, from the “Potsdam-St. Lawrence Herald”, 21 Jul 1899. Courtesy of the Franklin County Historical Society. “Potsdam-St. Lawrence Herald”, Potsdam, NY. 21 Jul 1899. Charles’s gravestone features an image of a freight train brake wheel, a nod to the duties he was performing when he was killed. 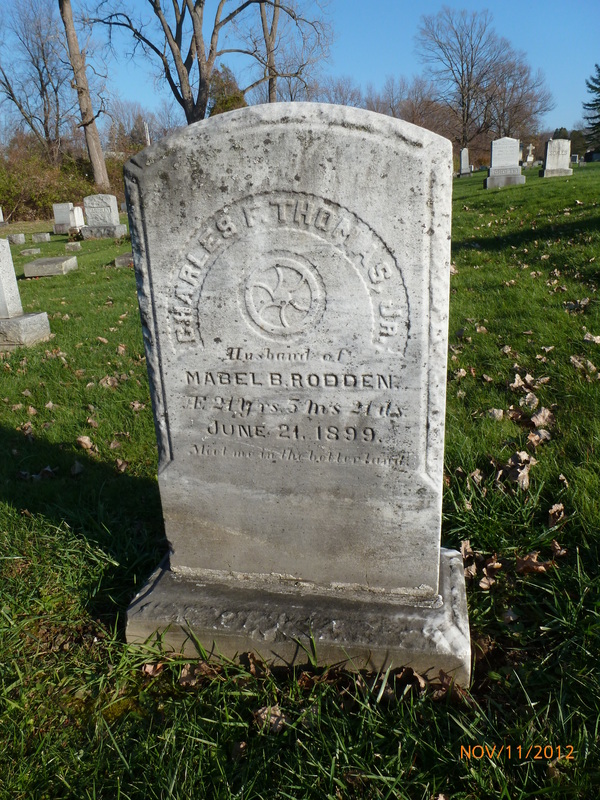 Greenwood Cemetery, Saint Albans, VT. This entry was posted on Sunday, February 16th, 2014 at 6:48 PM	and posted in Thomas. You can follow any responses to this entry through the RSS 2.0 feed. « Grandma Was a Witch?